And I cannot say I will miss them… A few days ago I was riding to St. Petersburg, a long ride, and I realized that it had been a while since I had had fun on a road. Ever since I went into Ukraine, I had been on main roads, because the back roads were in appalling conditions or simply non-existent. From enjoying wonderful European country roads I had gone to just riding in pretty much a straight line all day, hot, sweaty, eating dust and smoke from trucks, watching out for ruts and potholes… the road had changed from something I had fun on to something to get out of the way before reaching the next destination. I had been doing this for so long I had forgotten that I was supposed to enjoy the ride! Today, the road away from St. Petesburg was a good dual carriageway, and then it turned into a beautiful country road that reminded me of how enjoyable these roads are. The landscape had also changed, and if it were not for the road signs, I would have sworn I was already in Finland, not in Russia. However, this was still Russia, and in Russia you cannot trust a road for long. The minute you think ‘wow, this is a nice one’ and think it is going to stay that way to your destination, it just turns to complete crap. There is no logic to it either, it does not follow province boundaries, proximity to cities or any other rational criteria, it just changes suddenly from motorway to gravel road, to broken asphalt, to no road, to new unpainted asphalt… you never know what is coming next. In my case, a dusty gravel road for almost 100km. 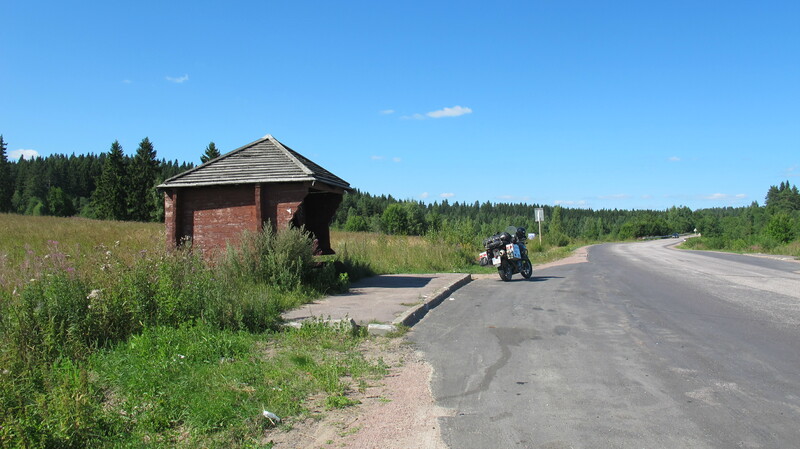 By the time I was near the Finnish border and it was tarmac again, I was white with dust, so I was very, very happy to cross the border. However, I will miss Russia. It has been an amazing experience and the people I have met there have been wonderful. Back in the UE, the road was lovely, smooth, new tarmac. Then something strange happened. The speed limit was 80km/h, and people were sticking to it. No crazy overtaking. Nobody pulling out in front of me, everybody waited patiently on the side before driving onto the road. Speed cameras in every town. And I thought ‘this is boring’. I could not overtake whenever and wherever I felt like it, or go as fast as I would have liked to go on those roads… I suddenly missed Russian craziness! The wonderful landscape, and the fact that I could actually appreciate it because there were no more potholes waiting to kill me more than made up for it, though, and I had a very enjoyable last part of the day until I got to the hostel where I was spending the night. 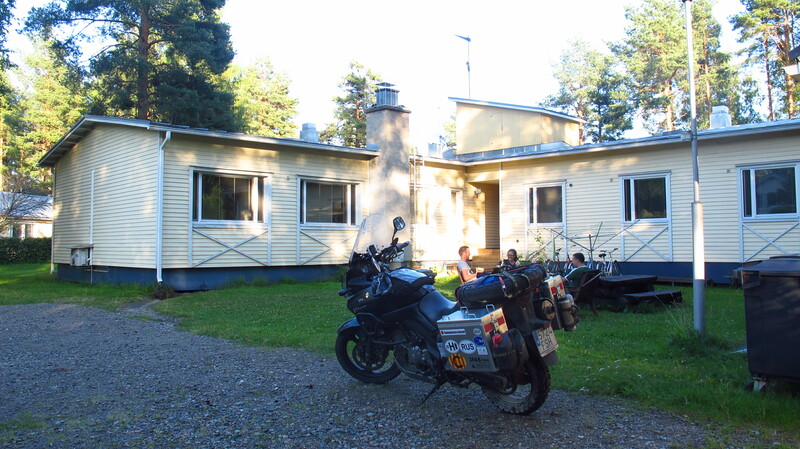 It was a really nice place, I parked my bike in the back yard, where there was a barbecue and a couple of picnic tables, cooked some food and then sat outside to finish The Grapes of Wrath with a cup of coffee in my hand. And his thought and his worry were not any more with rainfall, with wind and dust, with the thrust of crops. Eyes watched the tires, ears listened to the clattering motors, and minds struggled with oil, with gasoline, with the thinning rubber between air and road. Then a broken gear was a tragedy. Then water in the evening was the yearning, and food over the fire. Then health to go on was the need and the strength to go on and the spirit to go on. The wills thrust westward ahead of them, and the fears that had once apprehended drought or flood now lingered with anything that might stop the westward crawling. 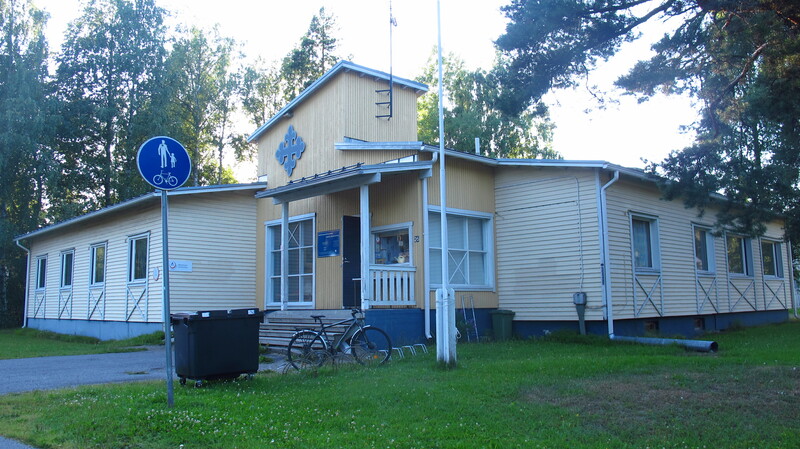 This entry was posted in Stroming The World 2013, Travel and tagged Border crossing, Finland, Joensuu by Kilian. Bookmark the permalink.